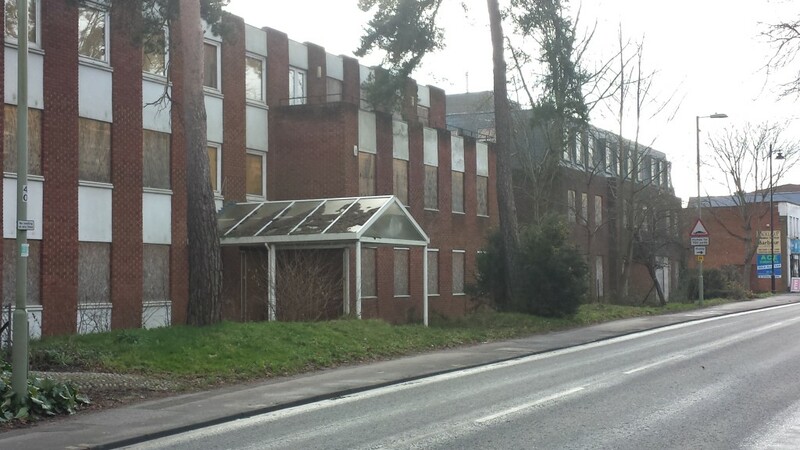 It has been announced that Hart Council have lost the developer’s appeal about the proposed development at Moulsham Lane in Yateley. 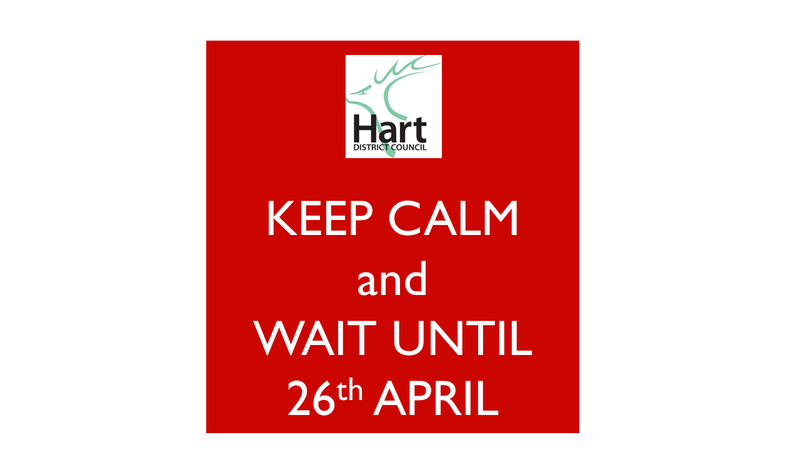 The significant part of the decision is that the inspector has decided that Hart’s five year land supply is not sufficient grounds to turn down the application. This is contrary to the decision made by the inspector in last year’s Owens Farm, Hook appeal. 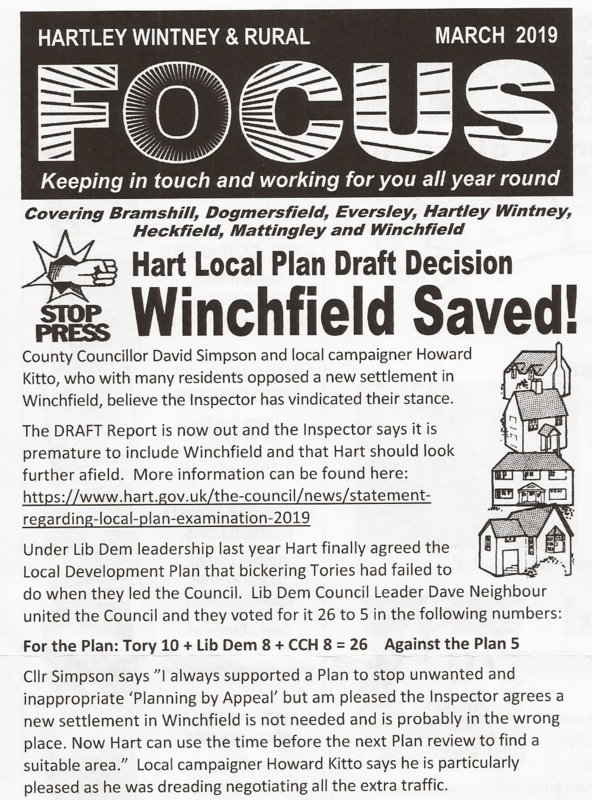 The other worrying aspect of the appeal is that the inspector has ruled that the council’s RUR2 policy which seeks to limit development in the countryside has been ruled to be out of date and partially inconsistent with the NPPF so will not offer significant protection until the new Local Plan is in place. 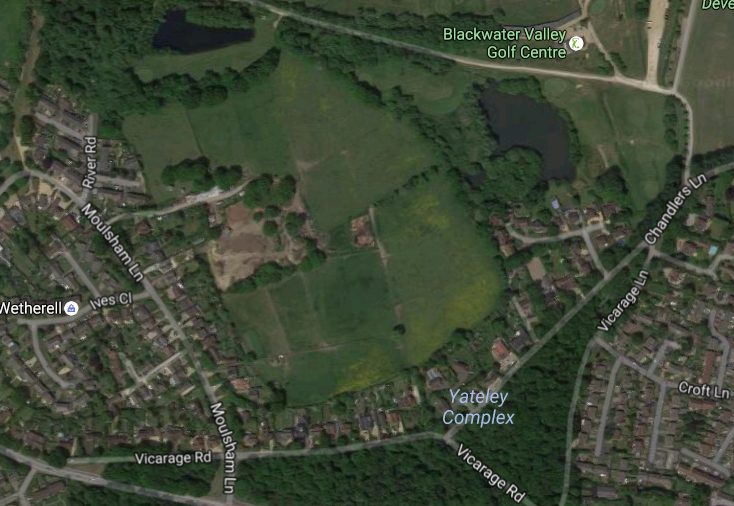 This puts at risk place like Winchfield, Hares Lane in Hartley Wintney, Hook and Pale Lane Farm. This decision shows the damage that can be done by the council not having a Local Plan in place. They have missed all of their self imposed deadlines as documented here. 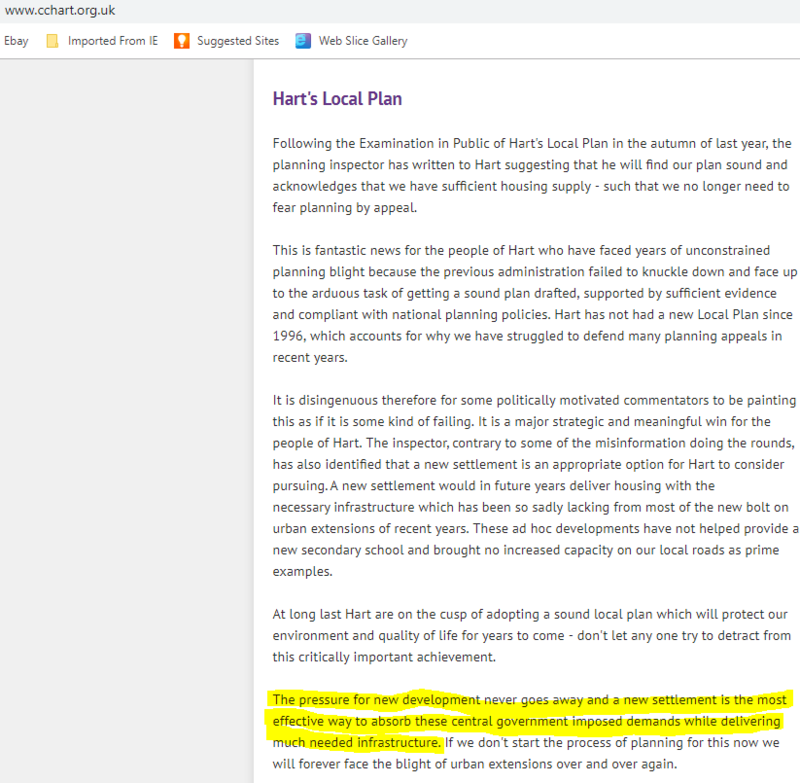 A new draft Local Plan is due to be published next month, but as we have not yet even seen the new SHMA, which was originally promised for February, then May, this timeline needs to be called into question. 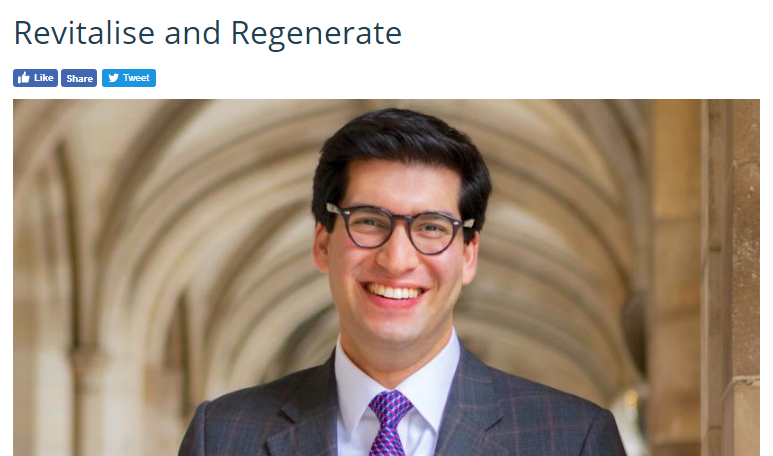 We can only hope that they do get a plan published and that it focuses on the plentiful brownfield sites that will more than meet our requirement for decades to come. 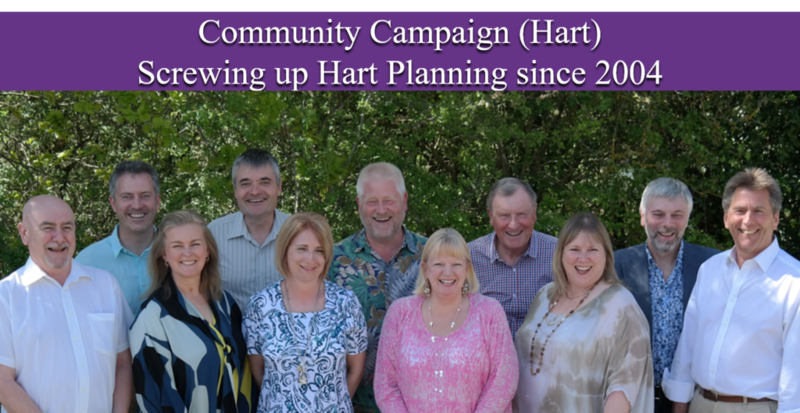 The answer to the first point is that unfortunately, Hart have only provided the development from 2011-2015 in the parish groupings shown, so there is no other way of presenting the data and still maintaining accuracy. 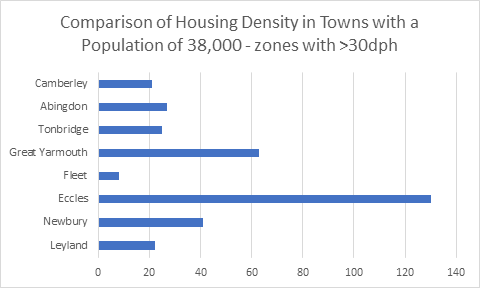 In answer to the second point, we have now incorporated the census data from 2001 into the calculations, so now it is possible to see the percentage increase in the same parish clusters from 2001-2032 and from 2011-2032. 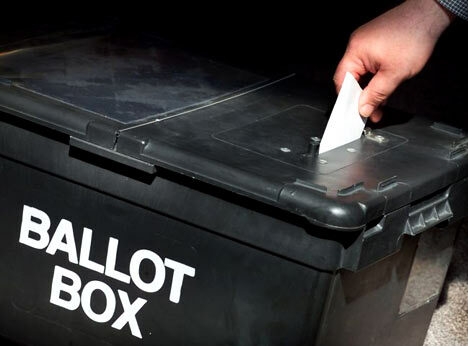 The results in graphical and tabular form are shown above and below. 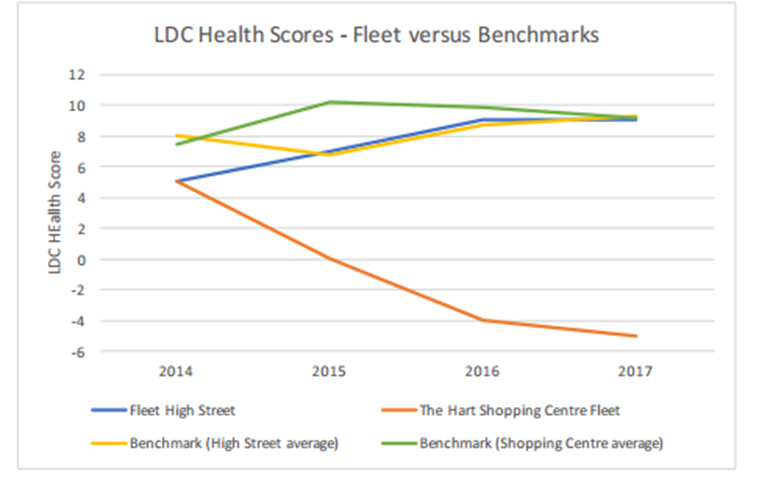 This data for dispersal shows that Fleet, Church Crookham and Crookham Village will not take more proportionate development than many other areas of Hart such as Hook, Hartley Wintney and the “Other” rural districts. 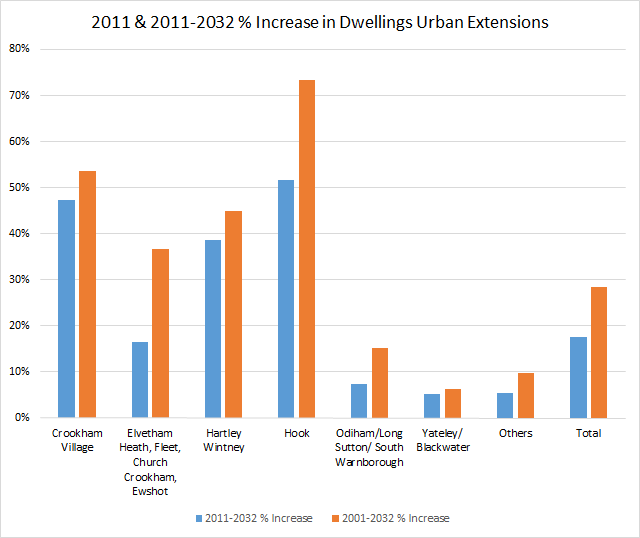 But it does show that Yateley and Blackwater have taken least proportionate development over both time periods and the smaller rural districts would take a very large proportionate increase if this strategy were pursued to the fullest extent. And finally, the new town approach. 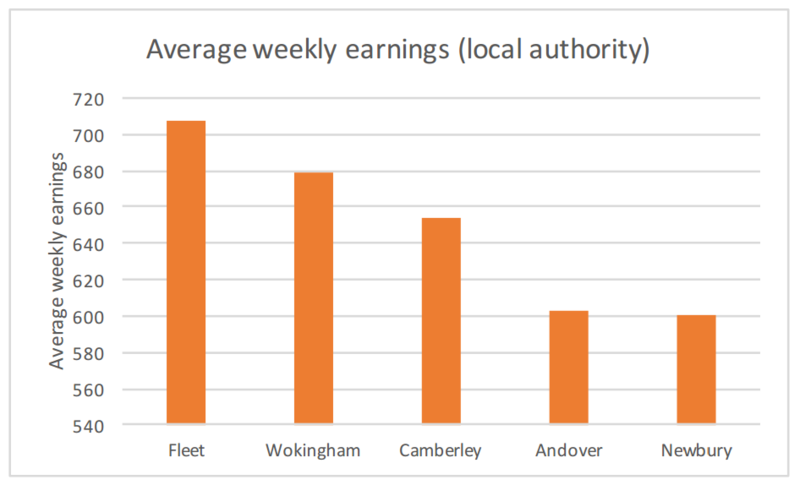 This shows again that Hook parish would bear a large proportionate increase in housing, plus the Winchfield part of “Others” would also bear a massive increase in housing, with Winchfield enduring a 6-fold increase during the plan period, with much more thereafter. 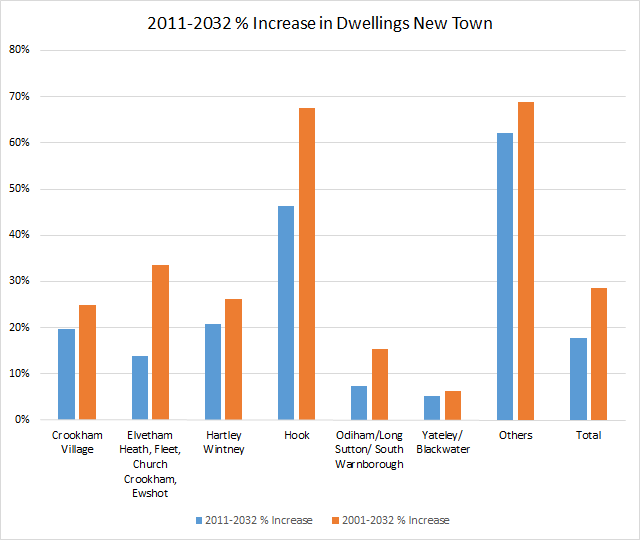 To us, this points to the need to redouble efforts to rebalance the housing proposals and redouble efforts to find a brownfield solution.